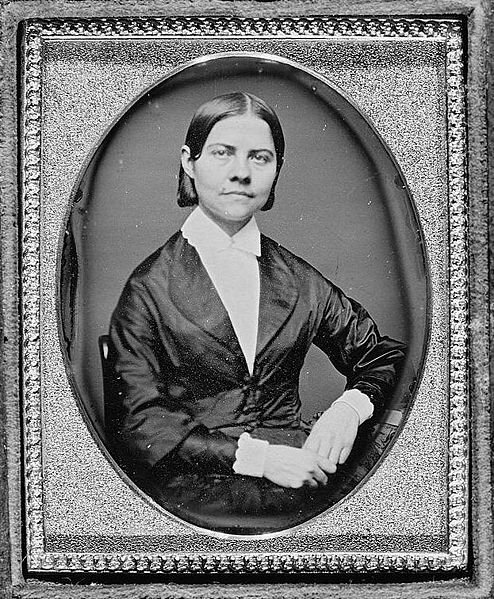 Lucy Stone, the great Massachusetts feminist and abolitionist, speaker and writer, was born at her family’s farm in West Brookfield on this day 190 years ago. The home is gone, but the property, which is operated by The Trustees of Reservations, is open to the public. You can also visit Forest Hills Cemetery, where she became the first person in Massachusetts to be cremated after she died at her Dorchester home in 1893. When Stone graduated from Oberlin in 1847, she became the first Massachusetts woman to earn a bachelor’s degree. She traveled the country, speaking publicly against slavery and for women’s rights. She helped organize the first national woman’s rights convention in Worcester in 1850. When she married Henry Blackwell in 1855, she set a precedent by keeping her own name. In 1870, Stone helped found the weekly suffragist newspaper Woman’s Journal, which she long wrote for and edited. 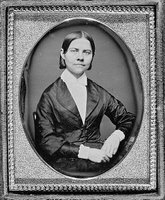 After the Civil War, she was one of the founders of the American Equal Rights Association, a coalition of woman's rights and abolition supporters. But the group split over amendments to the U.S. Constitution that granted blacks civil rights and black men the vote, but not women. Susan B. Anthony and Elizabeth Cady Stanton, refusing to support legal changes that did not enfranchise women, broke off to form the National Woman Suffrage Association. Stone, who said, "I will be thankful in my soul if any body can get out of the terrible pit,” helped found the rival American Woman Suffrage Association in 1869. The split was not reconciled until 1890.